Givenchy PI Neo for Men is a futuristic, adventurous male fragrance that uses toscanol, myrtle, and patchouli to create the illusion of a virtual world. These are cleverly blended with aromatic and invigorating mandarin, bergamot, myrrh and cedar. 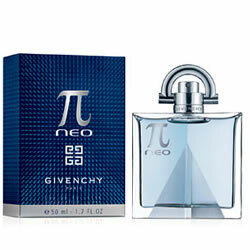 Givenchy PI Neo for Men is a futuristic, adventurous male fragrance that uses toscanol, myrtle, and patchouli. These are cleverly blended with aromatic and invigorating mandarin, bergamot, myrrh and cedar.